I've put this list together over several years and from many different sources. Any corrections and additions are encouraged. 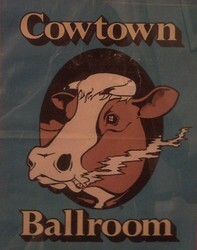 The period is 1960's thru 1979 and includes some Lawrence concerts..
8/14/1968 Danny Cox/Shawnee Mission East H.S. 3/19/1969 The Byrds/Shawnee Mission South H.S. 4/17/1971 It's a Beautiful Day /The Establishment -Lawrence Ks. 2/21/1973 Ozark Mountain Daredevils /Shawnee Mission North H.S. 2/24/1974 National Lampoon's Lemmings /UMKC -w/John Belushi, Chevy Chase, Christopher Guest, etc. 6/20 & 6/21/1975 The Kool Jazz Festival / Royals Stadium - w/Aretha Franklin, Gladys Knight and the Pips, Count Basie, Smokey Robinson, The Isley Brothers, The Ohio Players, B.B. 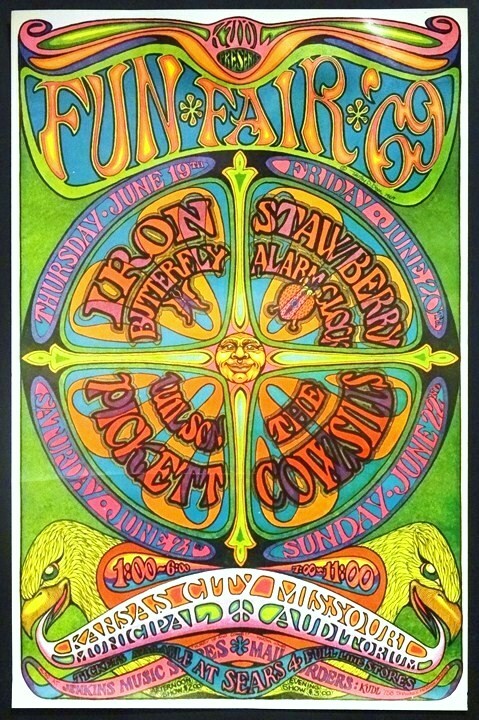 King, The Temptaions, Bobby Bland, and many many more. 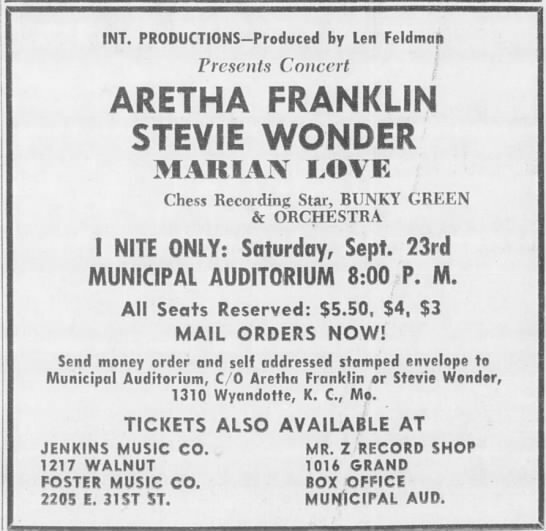 10/9/1975 Chicago /Allen Fieldhouse, Lawrence Ks. 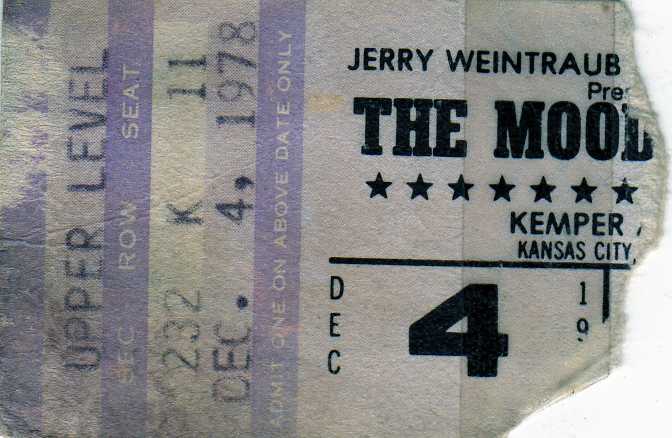 11/1/1975 The Beach Boys / Allen Fieldhouse, Lawrence Ks. 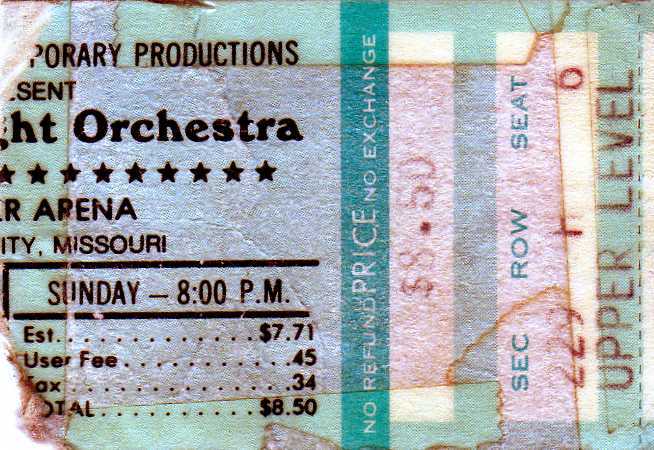 11/14/1975 Todd Rundgren & Utopia /Free State Opera House, Lawrence Ks. 10/14/1977 The Beach Boys /Allen Fieldhouse, Lawrence Ks. 4/23/1979 Jethro Tull /Kemper Arena -w/U.K. 9/28/1979 Waylon Jennings/Municipal Auditorium -w/Hank Williams Jr.